Nestled in the Indian state of Himachal Pradesh, Dalhousie has several renowned tourist spots like Khajjar Lake, Panchpula, Kalatop Khajjar sanctuary, Rang Mahal, Dainkund Peak, St Francis Church, and St John’s church. The colonial-style buildings here date back to the 1800s when India was under British Rule. 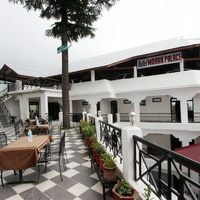 If you plan on visiting this peaceful town, then consider booking the best Dalhousie hotels through the Cleartrip site. You can avail attractive deals when you book with us. 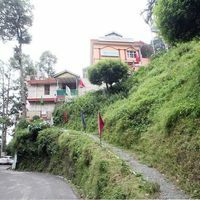 The best localities for the hotels in Dalhousie are Subhash Chowk, Gandhi Chowk, Banikhet Khari Road, the Mall, and Balun. If possible, do your bookings of Dalhousie hotels around these areas to make the most of your trip. From March to May the weather is pleasant here. Moreover, the months August to September are crowded because Hindu devotees embark on the Manimahesh Yatra pilgrimage that extends from the Chamba town to the holy Manimahesh Lake. Additionally, if you love playing in the snow, then the months between December to February are ideal for planning your Dalhousie trip. Dainkund Peak that is located in the high altitude regions experiences snowfall during this period. 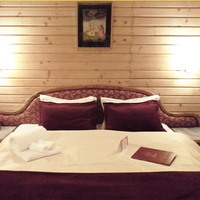 However, to avoid disappointment, always book your Dalhousie hotels in advance. 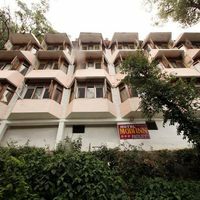 As per your budget, you can choose from a range of 4-star, 3-star, and budget hotels in Dalhousie that offers facilities like restaurants, bar, wi-fi and room service. You can use coupon codes during your hotel bookings for availing cash back through Cleartrip. Located in the Chamba district of Himachal Pradesh, Dalhousie is one of the most popular hill stations in India. Being one of the most popular weekend retreats of northern India, it remains packed with tourists throughout the year, especially the summer season. The city was named after its founder “Lord Dalhousie”, who was the erstwhile Governor General of India. It is an Ideal de-stress holiday destination for all the workaholic people. Dalhousie is also known as the “City of tall deodar tress”. The city is surrounded by five hills named Balun, Petreyn, Kathlog, Bakrota and Tehra.
. Cleartrip gives you a complete list of hotels, which include star rating hotels, boutique hotels, budget hotels, guest houses and home stays. Luxurious hotels with deluxe rooms, offer various facilities, such as free Wi-Fi, airport pick and drop, conference room, etc. Besides this, there are also budget conscious visitors, who need not worry about the hotels here. They can consider booking a 2 or 3-star hotel. , you must keep the location in mind. Season: There is no particular season to enjoy the natural beauty of Dalhousie, as this town has a soothing climate throughout the year. However, March to May is considered the best time to visit Dalhousie. So, if you are visiting during this time, it is advisable to book your stay in advance to avoid last minute chaos. Budget: Budget hotels are easily available in the town, and they are evenly spread in different parts of the town. You can get their details at Cleartrip. Luxury: Having a luxurious stay can make your trip much more memorable. So it would be an excellent idea if you are planning to book a 4-star or boutique hotel in Dalhousie. 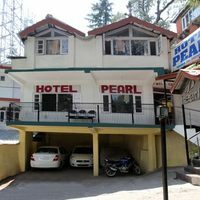 : Booking a hotel on or near Gandhi Chownk or Mall Road, Dalhousie will give you the advantage of shopping. Moreover, you can easily get to the main market from your hotel. : It is the oldest church and carries a historical significance. There are many good hotels in this area. 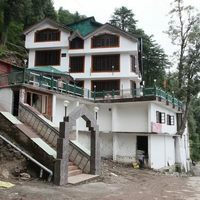 : This place is 5 km from Dalhousie and is ideal to book a hotel if you want to stay close to Mother Nature. It is a bit away from main market, but the breathtaking views from hotels here make it worth considering for booking a hotel. 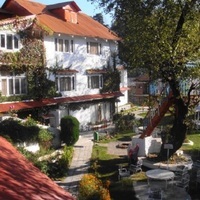 There are about 150 hotels in Dalhousie, where tourists can stay at the most reasonable price. Booking your hotel through Cleartrip would give you some of the best deals and cash back offers. The price of hotels in Dalhousie starts from INR 1000 and go up to INR 14000 per night. There is no airport in Dalhousie, so if you wish to reach by air then you will need to reach the nearest airports located at Gaggal/Kangra, Amritsar and Dehradun. From the airport, you need to take a cab or bus to reach Dalhousie. The Indian Railways has a huge network and is well-connected with the major cities of India. From Dalhousie the nearest railway station is Pathankot. Many Express and Super-fast trains run daily to Pathankot from several Indian cities. From Pathankot, you will need to travel 2 hours by road to reach Dalhousie. Regular buses (both government and private) are available to Dalhousie from Delhi and other cities. So, you can easily reach by bus or private car. Dainkund Peak: Situated at a height of 2,345 meters, it is one of the most visited sightseeing locations in Dalhousie. Through the peak one can get an enchanting view of the three rivers namely Ravi, Beas and Chenab. Kalatop Wildlife Sanctuary: It is located at a distance of about 8.5 km away from Dalhousie. 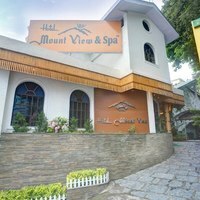 It gives you a cherishing view of the nearby hills covered with evergreen pine trees and the green fields. Khajjiar: It is situated approximately 27 km away from Dalhousie town, at an altitude of 2000m above the sea. It is popular for its lush green open area with evergreen Pine and Deodar trees. St. Francis Church: It is a Catholic church located in Subhash Chowk, and it is counted among the eminent tourist places in Dalhousie. Bakrota Hills: It is one of the famous hill stations among the visitors. It is a perfect place for trekking enthusiasts. One can enjoy the mesmerizing view of snow capped Himalayan mountain peaks. Khajji Naga Shrine: It is located at the outskirts of Dalhousie. It was built during Mahabharata times. Culture: The tradition and culture of the people of Dalhousie have mostly remained uninterrupted from the influence of outside world. Various religions are practiced here. Food: Besides being a hub of innumerable tourist spots, Dalhousie is a good place for the foodies as well. Be it vegetarian or non-vegetarian; the hill station offers a wide variety of food items that taste absolutely great. Market: The hill station is famous for its unique handicrafts items. Some things that one can buy from here are the Buddhist work of art, floor coverings, clothes, artificial jewellery, footwear, etc. : It is one of the most scenic places of the region, which is located at a distance of about 3 km from Dalhousie. i: It is one of the most popular tourist spots among the tourists owing to its natural beauty. One can visit the place during their trip to Dalhousie as it is situated at a distance of 1 km from Dalhousie. : One of the most picturesque regions of the Himalayas. You nearly have to cover a distance of 55 km from Dalhousie. : It is around 55 km from Dalhousie, and the Lakshmi Narayan temple is the popular shrine here. : It is about 5 km from the town, and famous for adventure and culture. Dalhousie has a moderate climate all year round. The maximum temperature one might experience during the summer is 26 degree Celsius. And in winters the temperature remains between 1 and 10 degree Celsius. January is usually the coldest month in Dalhousie, while June is the hottest. The average rainfall that remains in Dalhousie is 88.09 inches. It is the beginning of the summer, and hence the weather remains quite pleasant. Hotels see a huge rush during this time. The town experiences moderate rainfall. It is the time when many travellers plan a trip to experience the winters and witness snowfall. Hence, the hotels are expensive and crowed with tourists during this time. : The fair commemorates the victory of Raja of Chamba against the rulers of Chamba. This fair is held every year during the month of September in all over the Himachal Pradesh. : It is organized at the GPO of Dalhousie, where different artists perform from different countries. The best time to visit Dalhousie is in the summer season, which lasts from March to May. The weather is quite pleasant during this time and it makes it an ideal time for travellers to explore the city. Which are the top 5 must visit places in Dalhousie? Khajjiar Lake, Dainkund Peak, Kalatop Wildlife Reserve, Satdhara Falls and Panchpula are the top 5 places which every tourist must explore during the visit to Dalhousie. How can I get attractive discounts on hotels in Dalhousie? Online travel websites like Cleartrip provide a large number of hotels to choose from. 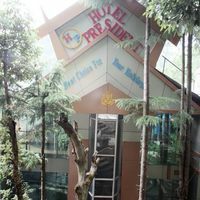 Click on hotels in Dalhousie and find from budget hotels to 4-star and 5-stor hotels at the best prices. With Cleartrip, you can avail some amazing discounts on your booking. Can unmarried couples stay in hotels in Dalhousie? Yes there are several hotels in Dalhousie where unmarried couples are allowed. However, if you are posing as a ‘couple’, you need to carry issued valid ID proof like Voter ID, Passport, Aadhar card, etc. Accommodation can be denied if proof is not valid or shown at the time of check-in. How can I find hotels near Gandhi Chowk Dalhousie? It is very easy to locate hotels near Gandhi Chowk using Cleartrip. You just need to enter Gandhi Chowk Dalhousie in the Where field option on the Hotels Page. The lists of hotels located near Gandhi Chowk will be displayed, and you can book according to your need and budget. How do I book hotels in Dalhousie near bus stand? Enter the location as “Dalhousie” in the Where location filter on the Cleartrip website Hotels Page. Or click on hotels near bus stand using the locality dropdown option. List of hotels near the bus stand will be displayed for you to choose the one that fits your requirement. Do Dalhousie hotels offer Wi-Fi facility? 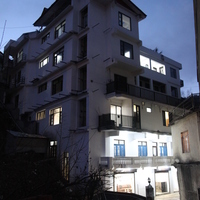 There are many hotels in Dalhousie, which provide this facility. Some of them are Hotel Mongas, Dalhousie Heights, Hotel Modi Inn Rockside and many more. For more options, visit Cleatrip website or go directly to hotels with Wi-Fi page. As per the list, one can contact the hotel and get confirmation on this matter before booking. What can I buy from Dalhousie? Things you must buy from Dalhousie are customary Kashmiri shawls, handmade carpets, wall hangings, Tibetan dresses, woollen garments, and wooden artefacts. Can you tell which are the popular hotels with Bar in Dalhousie? 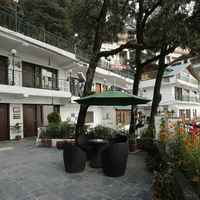 Few of the hotels in Dalhousie which include bar facility are Sagrika Resort, Hotel Ark, J K Clarks Exotica and so on. Can you list the top 5 shopping areas in Dalhousie? 5 best places to go for shopping in Dalhousie are Gandhi Chowk, The Mall, Bhuttico, Tibetan Market, and Sadar Bazaar. What are the famous sightseeing spots in Dalhousie? The top ‘not to be missed’ sightseeing spots in Dalhousie are Khajjiar, Dainkund Peak, Kalatop Wildlife Resort, St. Francis Catholic Church, Panchpula, Ganji Pahari, Rang Mahal, Chamera Lake, Satdhara Falls and Mall Road. What are some must do things in Dalhousie? From adventure activities like hiking, rock climbing, trekking, camping and excursions to the shopping at the local markets of Dalhousie, every tourist will find exciting things-to-do in this hill station. Find more information on things to do in Dalhousie on Cleartrip. Suggest a few top restaurants to eat in Dalhousie? Some of the best restaurants to enjoy lip-smacking North Indian and continental and Chinese cuisines are Kwality Restaurant, Café Dalhousie, Napoli Restaurant, Old-Sher-E-Punjab Dhaba, Moti Mahal, Tiffins Restaurant and so on. What activities and experiences can I enjoy in Dalhousie? You can visit the famous tourist attractions like Khajjiar Lake, Dainkund Peak, etc. Dalhousie offers some great adventure activities like hiking, camping, rock climbing and trekking. Shopping and food are other things that tourists can indulge in. There are numerous other activities in Dalhousie that can be explored during an excursion. 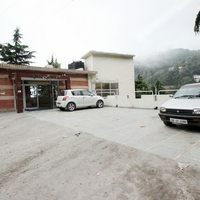 How to book a room for international guests near Gandhi Chowk Dalhousie? Go to the hotels in Dalhousie page from the link on Cleartrip Hotels Page, and select Gandhi Chowk from the landmark dropdown. The best hotels near Gandhi Chowk will be displayed and you can book the one that is suitable for your international guest. Which are the best spot near Dalhousie for a day outing? Khajjiar is a popular hill station which is about 21 km from Dalhousie and Chamba is another hill station which is 52 km from Dalhousie. Can you name some 3-star hotels in Dalhousie? 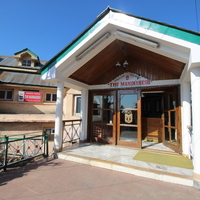 Dalhousie Heights, Hotel Mongas, Hotel Modi Inn Rockside, Hotel Mount View are some of the 3-star hotels in Dalhousie . Get the best deal at Cleartrip.com and other benefits as well. Can you list some hotels in North Dalhousie? 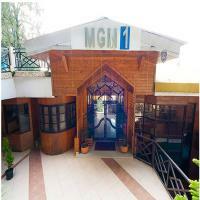 In North Dalhousie, Dalhousie Heights, Hotel Mongas, Hotel Ashiana Regency are few options. To gather more details, you can choose North Dalhousie from the ‘Hotels By Region’ drop-down on the Dalhousie hotels page on Cleartrip. Can you name some AC hotels in Dalhousie? 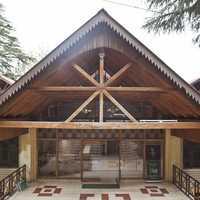 Atithi Resort, Mohan Palace, Snow Valley Resort and JK Clarks Exotica are some AC hotels in Dalhousie . What are the top hotels to stay at Dalhousie? 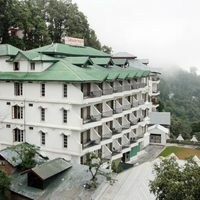 If you are looking for 4-star and 3-star hotels in Dalhousie, then you can go for Aamod Dalhousie, Dalhousie Heights, Hotel Mongas, Hotel Modi Inn Rockside or Hotel Mount View. 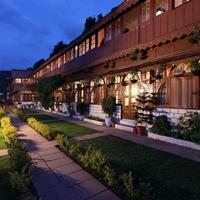 These are some of the top hotels in Dalhousie . How far is Gandhi Chowk from Dalhousie Bus Stand? The distance between Dalhousie Bus Stand and Gandhi Chowk is 2 km. The average time to cover this distance is about 7 minutes. Which are the best cafes in Dalhousie? The best cafes in Dalhousie are Mongas Cafe, Forever Cafe, Cafe Dalhousie and many more. What are the top places of interest in Dalhousie? Khajjiar Lake, Dainkund Peak, Kalatop Wildlife Reserve, Chamera Lake, Satdhara Falls, Panchpula, Chamunda Devi Temple, Sui Mata Temple, St. Johns Church are few top places of interest in Dalhousie. Can you tell me about some resorts in Dalhousie? Well, you can try some great resorts in Dalhousie like Sagrika Resort and Snow Valley resort. 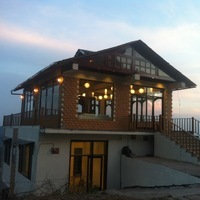 You can find a list of resorts in Dalhousie on Cleartrip. Nightlife in Dalhousie is pretty non-existent and there are hardly any pubs as such. If you want to enjoy the nightlife of the city, you can head to any of the hotels which offer discotheques and bar facility in Dalhousie. Are there any resorts near The Mall, Dalhousie? Yes, but there are only few resorts near The Mall, Dalhousie which are Sagrika Resort and Snow Valley Resort. To book the best resort as per your budget and requirement, click on resorts near the Mall, Dalhousie. Is room service available at hotels in Dalhousie? Almost every hotel in Dalhousie offers room service for the comfort of the guest. Dalhousie Heights, Hotel Mongas are few of them. For more options, visit Cleartrip website and click on hotels with room service in Dalhousie. Do hotels in Dalhousie offer gym facility? Yes, there are many hotels which offer gym facility. Dalhousie Heights is one such hotel you can consider. 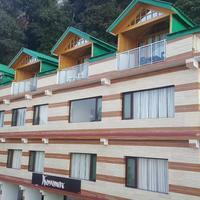 Check out more hotels in Dalhousie with gym on Cleartrip and choose the perfect accommodation. Where can I go for weekend getaways from Dalhousie? From Dalhousie, one can go to places like Kangra, Palampur, Bhuntar, Manikaran, Ludhiana, Kullu, Naggar, Spiti, Naldehra, Una, Mandi, Manali, Narkanda, Keylong, Shoja, Pathankot, Pahalgam, Amritsar and many more for a perfect weekend getaway.